Love is something everyone craves for. Love, no matter how heartbreakingly difficult it is to find sometimes, all in all, leads to true happiness in life itself. With this common trait of wanting love, the romance novel emerged and, even after a few centuries of thousands of books written, still remains a popular genre to this day. It is, however, a tricky genre for writers, for it is both loved and hated, longed for and feared by many readers. Whether one wears his or her heart on his or her sleeve or keeps it locked away in a steel vault, love is, as aforementioned, something everyone wants. And, though there are many romance novels out there today, which ones really make a reader feel the love that is portrayed? Sure, there are the paranormal romances for love-obsessed teenagers who do nothing but fantasize about relationships as they trek through adolescence. Then there are the more raunchy adult romance novels that make readers feel love in a different sort of way. Many other subgenres of romance exist and, through the historical romance subgenre, writer Josi S. Kilpack has created a sweet story about love in her newest book A Heart Revealed. 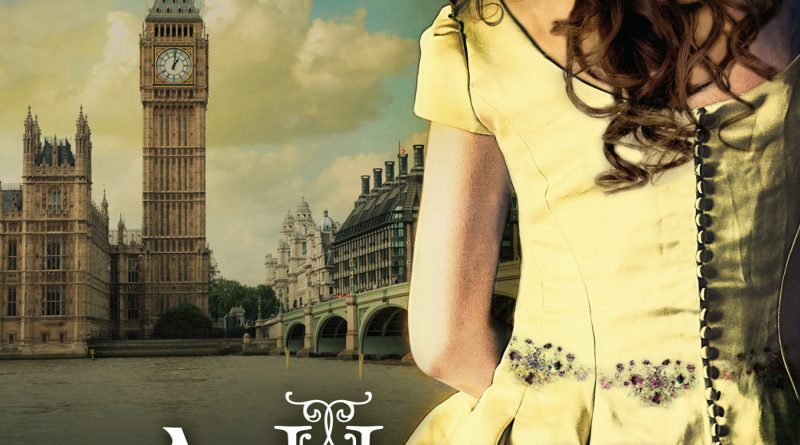 In Regency-era London, young Amber Sterlington is the girl to court. She has the beauty any young suitor would love to claim as his bride and any of these suitors could have a chance… if they have a title and fortune, of course. Amber was brought up learning only to wed into a wealthy family, but when she suffers from a rare disorder that causes her beautiful locks of hair to fall out, she is disowned by her own family and cast out into the country side to hide from society. Her world is turned upside down and in her “banishment,” she begins to wonder: not only if she will ever be a part of society again, but if anyone in the world could ever truly love her? A Heart Revealed is like a mixture of Beauty and the Beast, Gone with the Wind, and pretty much any book written by Jane Austen. Amber is very much like Miss Scarlet in Gone with the Wind: a perfect young lady who can have any man she wants, has her sights on one particular man, and yet, he is unavailable to her. As her hair falls out, she becomes “grotesque” (at least for this time period) and is isolated from all that she knows like the Beast in Beauty and the Beast. Then there is that one man: the one who can see past any flaws both internal and external and love the woman for who she is like the men in Jane Austen’s books. All of these traits from well-known romance stories gives the Kilpack’s story both a familiar, yet unique characteristic that, even with the predictable outcome nearly every romance novel has, makes the whole story fun to read. With this story being Kilpack’s first attempt at a historical romance novel, she has truly succeeded in writing a believable tale. Kilpack’s style of writing is smooth and flows very nicely. The dialog is superb throughout the book’s entirety, giving the readers the illusion that they are in Regency-era London. With this smooth writing style, she even makes the readers feel sorry for Amber. Being a stuck up brat at the beginning, readers are not overly drawn to her character, but she has beautiful character development as the story moves on. The story switches back and forth between her and Thomas Richards (who, of course, becomes that special man in her life) and, though it was very intriguing learning how Amber dealt with her changed life, it would have been nice to hear more from Thomas who did not seem to have enough time in the spotlight. What is wonderful about this romance novel is that it teaches lessons people of today, especially young women, could benefit from. While it seems most romance novels tell women the sexier they are, the better looking Fabio they will receive in their life, A Heart Revealed shows the opposite. It is almost tragic, to lose a physical part of oneself, especially during a time when looks were everything, and especially for a young woman looking for a husband. But, as Beauty and the Beast teaches readers: it is not about what is on the outside, but the inside that truly counts. This counts more so for today where society basically tells women they must be slim and completely flawless; however, these beautiful looking women can become very ugly on the inside. This lesson leads into another lesson that is best described from a line said by Kermit the Frog in The Muppet Movie: “Maybe you don’t need the whole world to love you. Maybe you just need one person.” Amber tries so hard to get everyone to love her, but finds out no one from her class really truly did. When she meets Thomas, she discovers that maybe his love is the only love she really needs in the world. 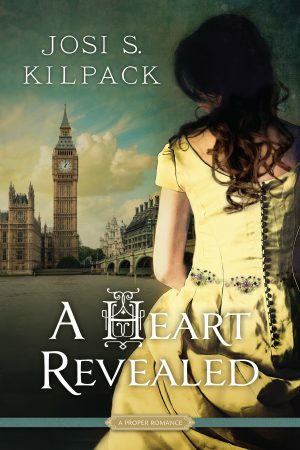 With the many romance novels Kilpack has written over the years, A Heart Revealed is a successful step in a new direction of romance for this wonderful writer. She does her research and makes not only the characters, but the settings in her story real and believable. Kilpack took familiar romantic tales and made them her own and actually makes her audience believe in seemingly impossible love. Her beautiful writing style will continue in her next book based off of a character from A Heart Revealed titled Lord Fenton’s Folly which is scheduled to be released this fall.